20 Years On. The making of a Museum. The 18th of August 2016 will mark 20 years since the inception of the Victorian Jazz Archive, which recently became The Australian Jazz Museum. We would like to recall the lead-up to that meeting, as there had been over a number of years a desire to have an Archive to hold the vast collection of Australian jazz memorabilia. Prior to the date various attempts were made to find a solution to this problem that was gaining strength in the jazz community to find a way to preserve jazz material. Using material available to us via the Archive’s History Project, we found that the first concrete evidence that something had to be done went back to the 29th September 1964, with a letter from jazz enthusiast Professor Ian Turner of Monash University to H. L. White, National Librarian Canberra to record the phenomena of Melbourne Jazz for archival purposes. Music Week magazine also contained an article in 1972 suggesting the formation of an Australian Jazz Convention Archive. Following this a meeting was organized between Ray Marginson and Laurie Gooding in Bangkok on 5th August 1983. In 1992 correspondence between Ray and Diana Allen discussed a bona fide jazz archive. Added to this was a letter from Graeme Bell looking for a home in Melbourne for his memorabilia. The following year an article in “Jazzchord” Magazine by Eric Myers records a meeting with Senator Mc Mullin, the Federal Arts Minister, again seeking Government funding to start an Archive. Musician Herb Jennings wrote of a “Proposed Australian Jazz Archive” incorporating an Australian Jazz Convention Archive on the 29th November 1993, to which Bruce Johnson replied early in 1994. Janine Barrand (Victorian Arts Centre) replied to a letter from Herb on this subject in February the same year. There was a fair bit of activity in 1994 with Eric Brown writing to Ray Marginson, who was then the President of the Museum of Victoria. Tom Wanliss was also in discussion with Ray Marginson regarding the Australian Jazz Interviews Project. The Australian Jazz Interviews Project, the brainchild of Tom Wanliss, involved John Kennedy and led to the recruitment of Eric Brown to help Tom with the interviews. Tom had negotiated with the State Library to have the interviews lodged there. Ray, who was the President of the Museum of Victoria 1988-94, had raised with the Director Graeme Morris the matter of a Jazz Archive in 1994. He reported that a meeting was held on 23rd June 1994 “The Australian Jazz Archive” which he chaired and which was convened by the Director of the Museum of Victoria and the General Manager Victorian Arts Centre. Ray’s term as President ended on the 30th June 1994. John Kennedy wrote to Ray Margin- son on 2nd June 1995 on behalf of the Australian Jazz Interviews Project asking him whether he was still involved in having a Jazz Archive at the Museum. In early 1996 the subject of a Jazz Archive was gathering pace with articles in “Jazzchord” magazine and reports of initial interest from The National Film and Sound Archive in Canberra to house an Archive. 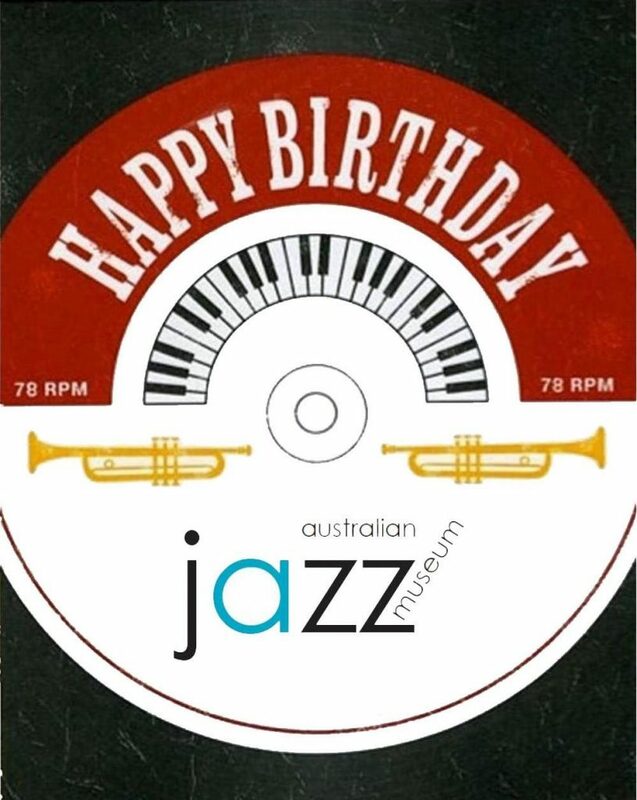 The first meeting for this purpose was held in Sydney on 23rd June 1996, with Bruce Johnson, as Chairman, where it was decided to form an Australian Jazz Archive within the NFSA, with each State forwarding Australian jazz material to Canberra for preservation. There was the hope of a similar meeting in Melbourne. John Kennedy took this opportunity to become involved and agreed to host a meeting locally on the 18th August 1996 at the Whitehorse Motel in Hawthorn, and contacted Bill Haesler OAM in Sydney, asking him to Chair the meeting as he was respected and well known locally. Eric Myers National Jazz Co-ordinator and Editor of “Jazzchord” was to attend, as was Graeme Evans, Manager of Collection Development representing the NFSA. The Melbourne meeting was well attended with some 64 jazz musicians, collectors, along with representatives from the arts and music teaching field, including Craig DeWilde (Music Dept, Monash University), John Whiteoak (Music Dept. Latrobe University), Jean Yinson (Folk Music Societies), Susan Faine (Victorian Folklore Assn. ), also representatives from South Australia, Canberra, and AJC Trustees. Amongst the apologies were Graeme Bell, Herb Jennings, Bill Miller, Dermot McCaul (State Library), Allan Browne, Brian Brown (Vic. College of the Arts), Adrian Jackson and most members of the Australian Jazz Convention Steering Committee from various States. It soon became evident a number of attendees were not happy with how the NSFA had treated jazz material in the past, nor was there a general consensus for material from Victorian collections going out of the State to Canberra. Also the NFSA said they would not take any Australian Jazz Convention memorabilia nor any photographs or instruments. All print material would be sent to the National Library. Graeme Evans agreed that material had been treated badly at times but assured the meeting things were going to change. However, the final straw was his announcement that the NFSA would be able to have one person only to handle all donations, one day a week! Finally he said free access to the Archive in Canberra was not possible. Many Thanks to John Kennedy OAM and Dr. Ray Marginson AM for the detail recorded in their joint historic article – “20 Years On. The making of a Museum”! Note that this is only an – “Extract from the quarterly AJazz magazine volume 71 August 2016” and you need to check it out fully to get the full story on the Australian Jazz Museum, with it’s ups and downs over the 20 Years! — And Now — the AJM History Story continues……………….!! !